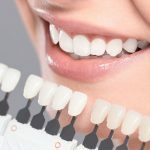 dishekimlerimiz.com site without any commercial anxiety, Esthetic Dentistry is prepared to inform people about the health care, and does not provide health services. Diagnosis and treatment must be done by a doctor. The information on this site cannot be used for the diagnosis and treatment of patients. All responsibility arising from the use of this site for this purpose is the responsibility of the user and the user. People who visit this site are deemed to have accepted these warnings. According to the law, pre- and postoperative pictures of patients are not published on this site. All surgical procedures described on this site are intended to provide information, comments and images, and are not intended to lead to advertising, diagnosis and treatment. For a healthy and correct result, consult a specialist doctor.